Easter arrives in just a couple of weeks, so I’ve had Eastery-sorts of recipes on my mind. As a blogger, I get to celebrate all kinds of holidays much earlier than the actual day. How else would I provide you with recipes that you can use for your Easter dinner? 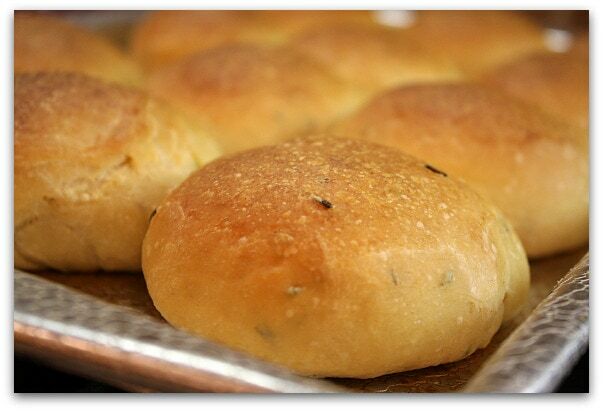 This is a good homemade roll recipe to include for a holiday meal. Its’ easiest to make if you have a stand mixer, but you can knead by hand too if you don’t mind getting messy. Though there are a few “rising” steps involved, the actual time involved in making the recipe is pretty minimal. 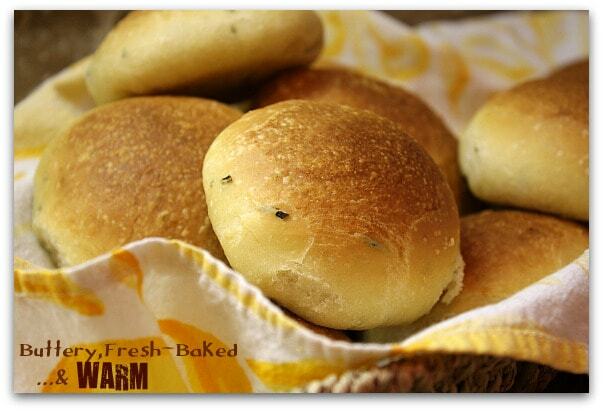 Start them in the early afternoon and you’ll have warm and buttery rolls at dinner: Olive Oil and Rosemary Rolls. The longer you can let the rosemary infuse the olive oil, the better. This will be so yummy mixed into the dough. Mix yeast & warm water and give them a few minutes to interact. Foaming & bubbling is good. If it doesn’t foam and bubble, your yeast is not active and needs to be tossed. 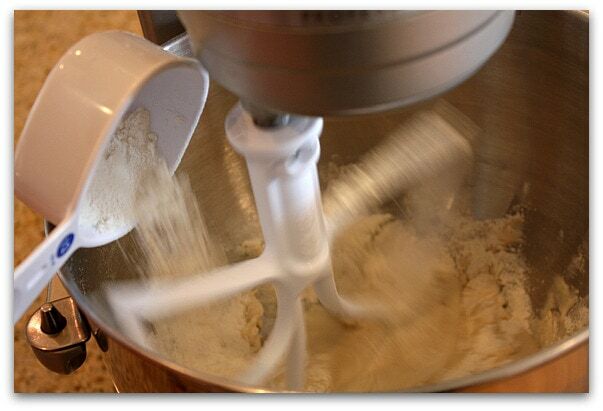 Pour the yeast mixture into the bowl of your stand mixer & add a little bit of your flour and salt. Keep adding flour a little at a time until all is incorporated. By the way… do you have one of these beater blades pictured below?? I just ordered one on Amazon & it has changed my (baking) life. I no longer have to stop my mixer to scrape the sides. The beater blade does that for you! 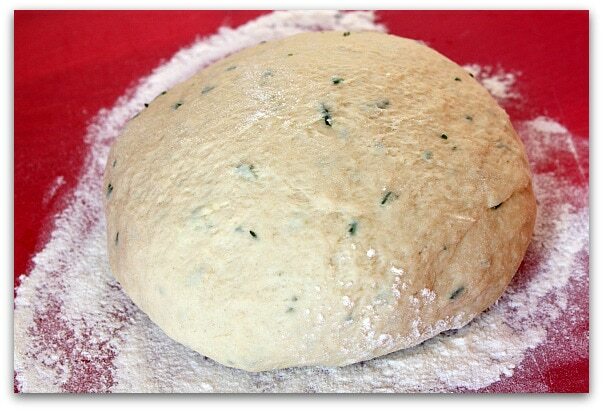 Switch to the dough hook & pour in the rosemary-infused olive oil. Let the hook do its kneading work for a couple of minutes. 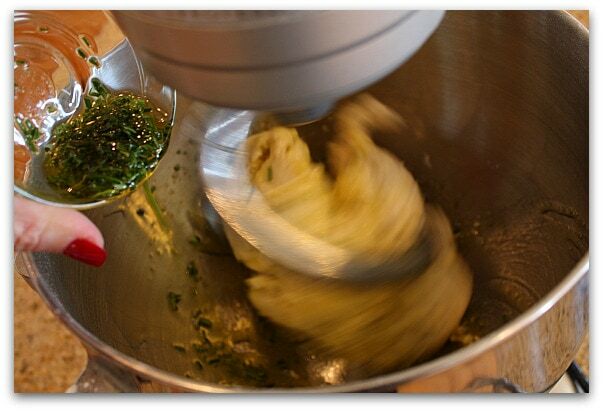 (You can do this by hand too… just knead the dough in a bowl so you don’t get olive oil all over the place). 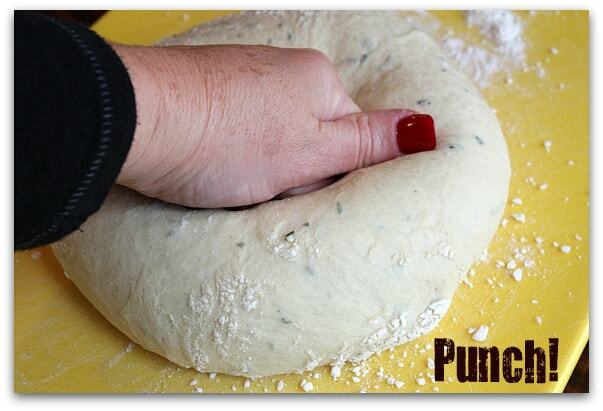 Take the dough out of the bowl and place it onto a lightly floured board. Form a nice round blob (I take the sides of the dough and kind of fold it underneath so the top looks nice and neat). Lightly dust the blob with flour and place it in a large zip bag. Press the air out and seal. Let rise in a warm place for about an hour. I don’t ever seem to have a warm place so I use my oven. I turn it on very briefly & then turn it off and leave the light on. It’s then warm enough to let my bread rise. I place the bag on a wooden board and then just place it on an oven rack. 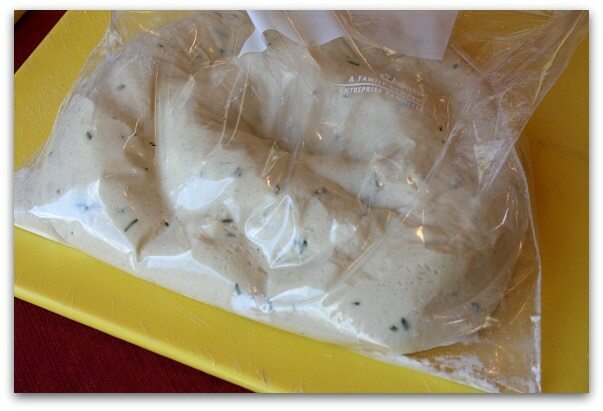 Punch down the dough and then let it sit to rise in the zip bag for another hour. 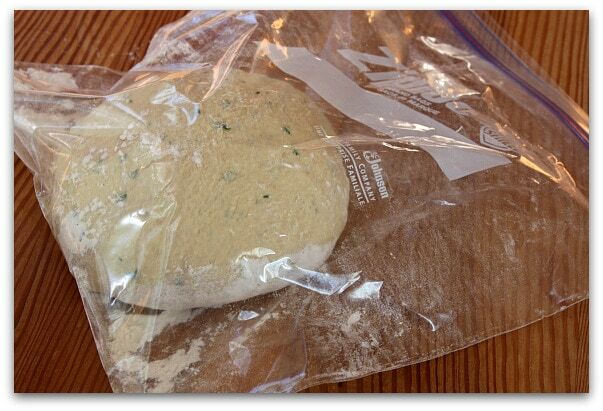 Take it out of the bag & punch the dough to deflate. Let it rest for a few minutes. 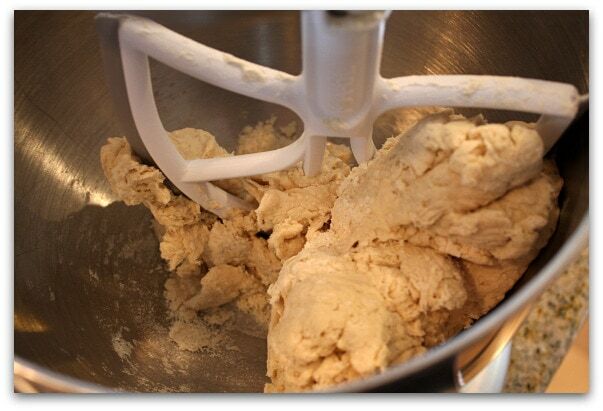 Divide the dough into 12 equal pieces. Form them into 12 rolls… you can roll them into balls or take the dough and tuck it underneath to form a smooth, round top. Brush the tops with melted butter, cover with plastic wrap and let them rise at room temperature for about an hour. You can create somewhat of a holding pattern here if you’d like… bake them right away, or refrigerate them at this point and take them out to rise when you’re ready… or you can let them sit for a bit longer than an hour. They shouldn’t get too crazy-out-of-control with their rising unless you’ve got some crazy-out-of-control active yeast 🙂 They need about 20 minutes in the oven. Tuck them into a cloth-lined basket to keep them warm for dinner. They’re tender rolls with the oh-so-subtle flavor of rosemary. Though there’s butter brushed on top, a good dab of butter on a warm roll is a really good thing too. 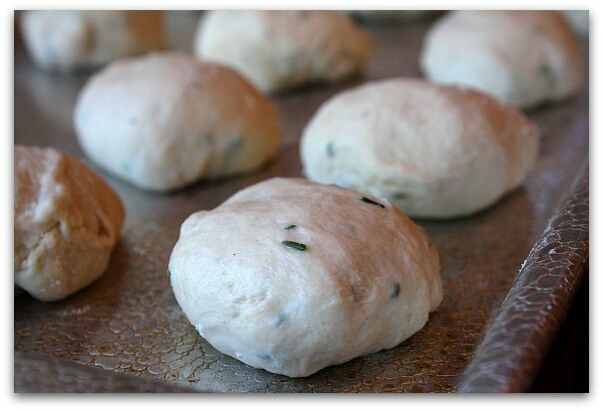 This recipe can be found here: Olive Oil & Rosemary Rolls. These look amazing. I’ll be sure that these make their way onto our Easter table tomorrow. YUM! Ooh yum! 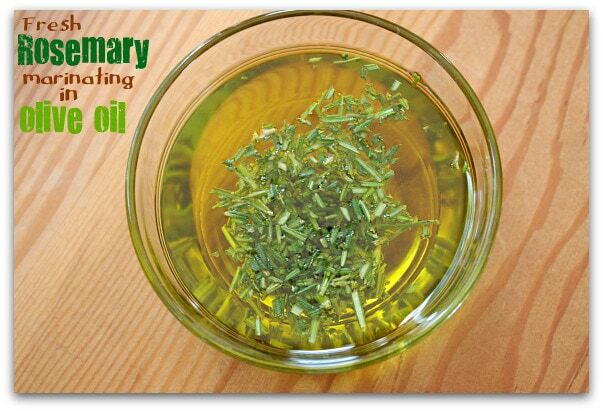 I love infused oils, and rosemary is one of my favorite herbs. These look amazing.